Come and enjoy a night of skating with friends and family. 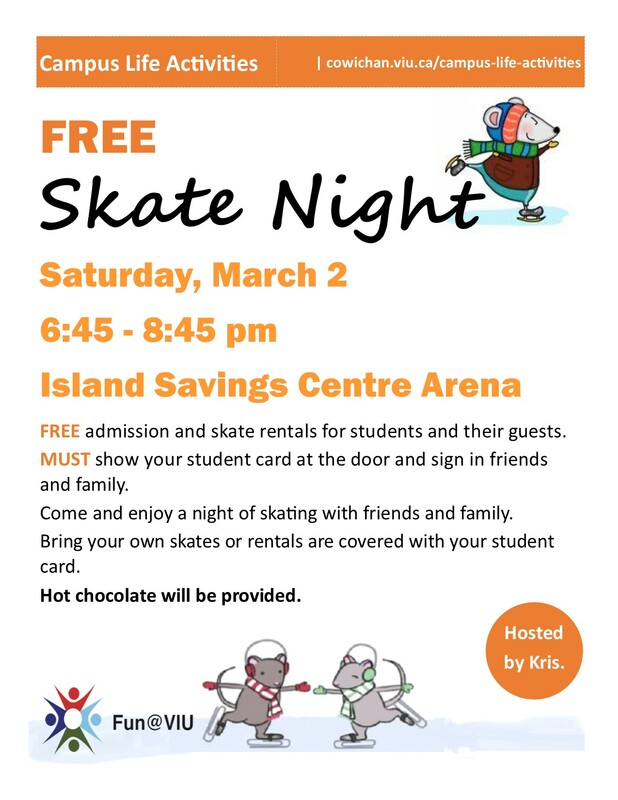 FREE admission and skate rentals for students and their guests. MUST show your student card at the door and sign in friends and family. Bring your own skates or rentals are covered with your student card.